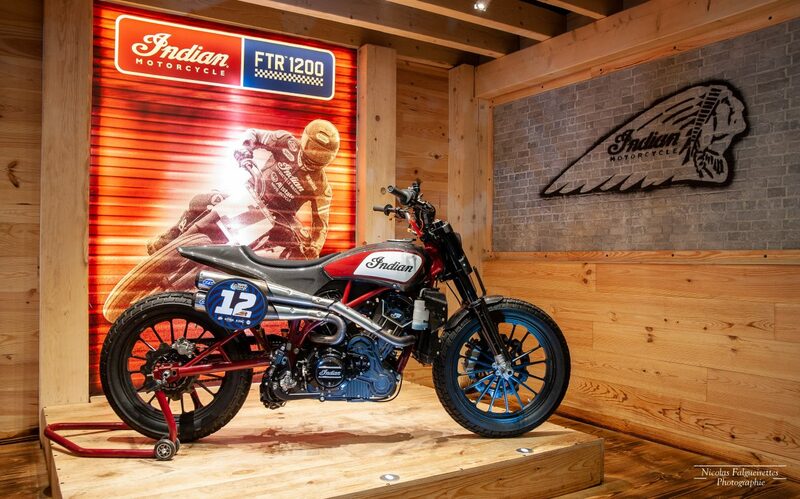 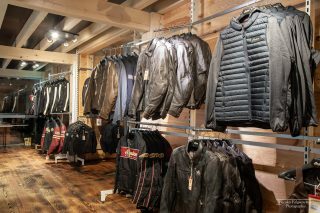 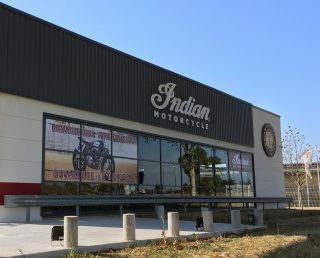 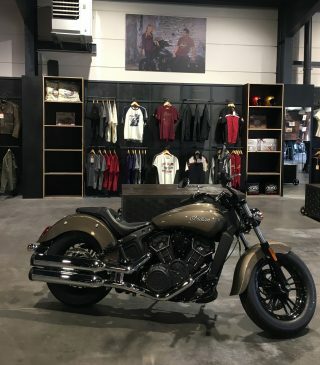 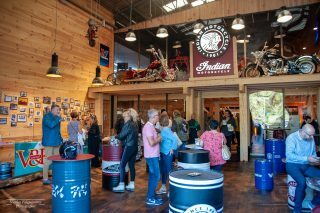 FRANCE – Indian Motorcycle, America’s first motorcycle company, has enhanced its presence in the important southern region, launching two new flagship stores, supporting the continued growth of its midsize and heavyweight lineups, while preparing for the all-new, truly-global FTR 1200 model. Since the 2013 relaunch of Indian Motorcycle, the brand has seen strong year on year growth in France and the country is now the number one market in Europe and third worldwide. 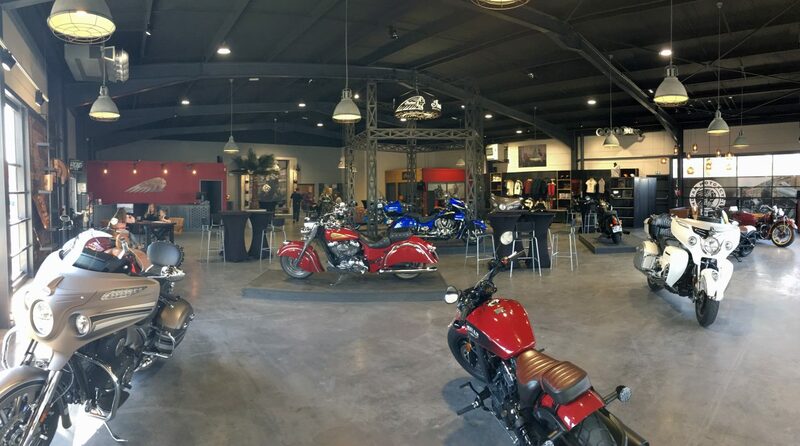 Supporting this growth, the official dealer network has expanded to 31 locations with a focus on delivering the premium motorcycle experience. 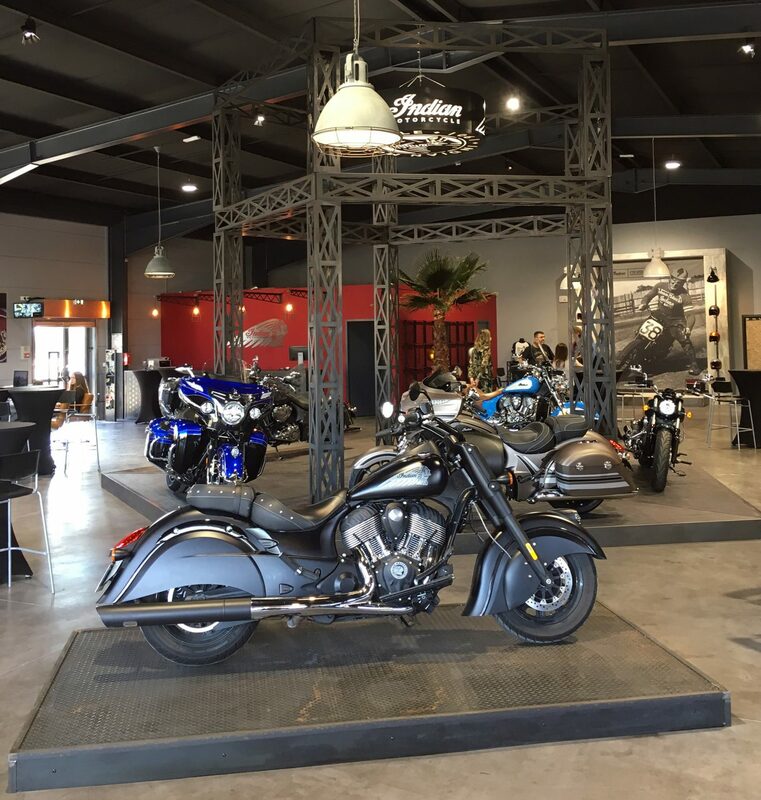 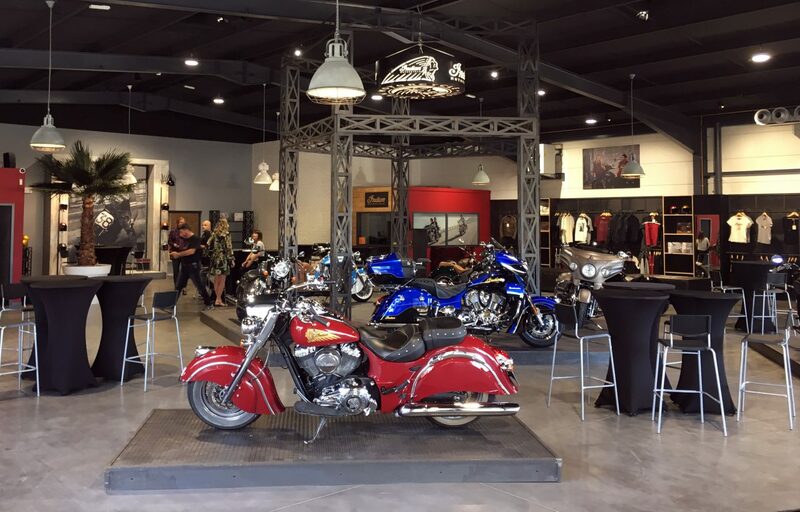 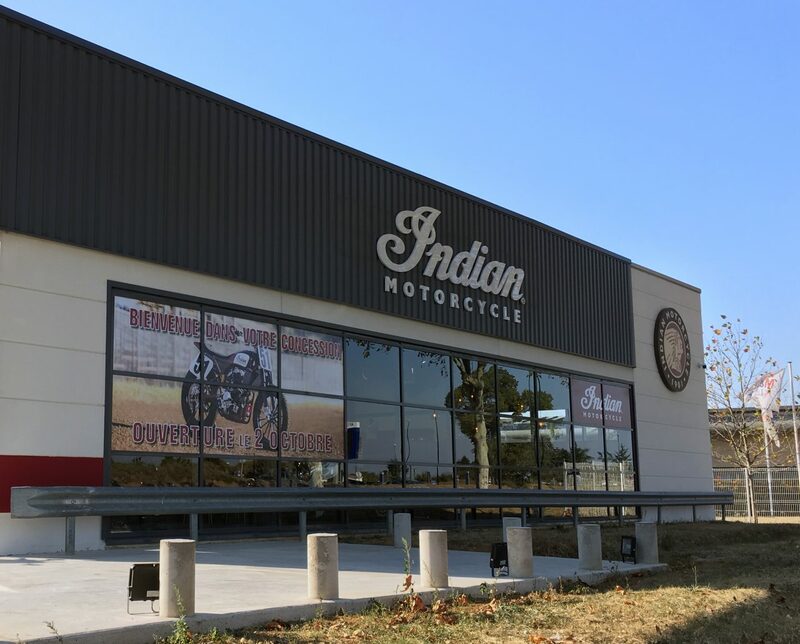 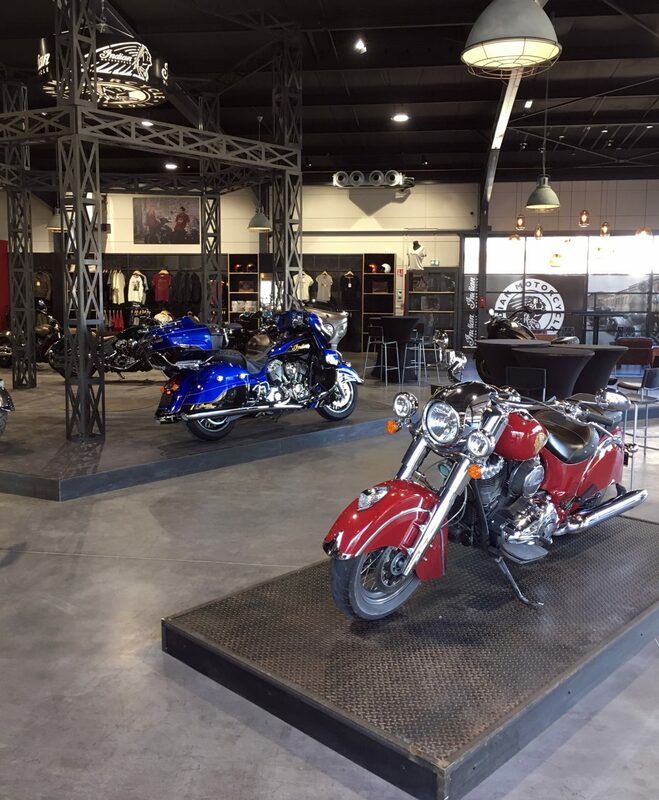 Premium Indian Motorcycle and Indian Valence are the latest milestone in an ongoing project to upgrade and enhance the dealer network with an emphasis on quality over quantity. 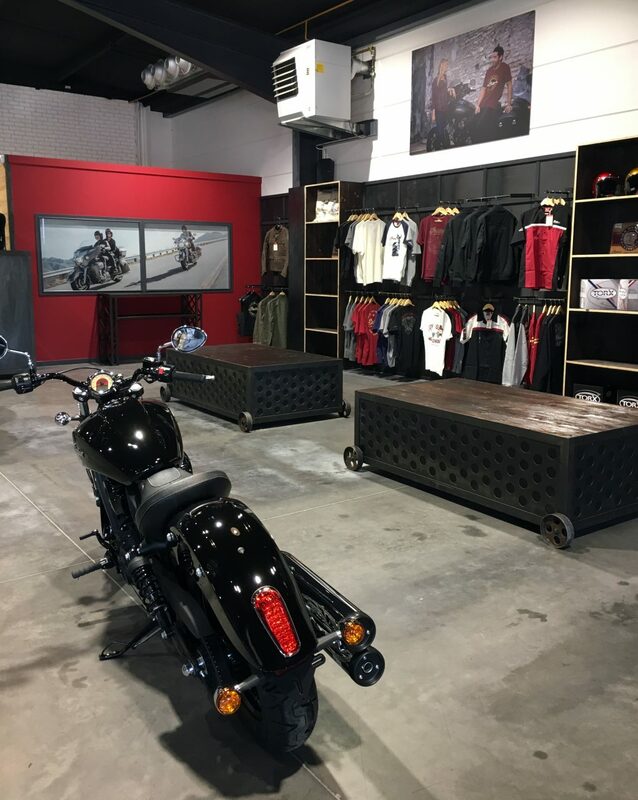 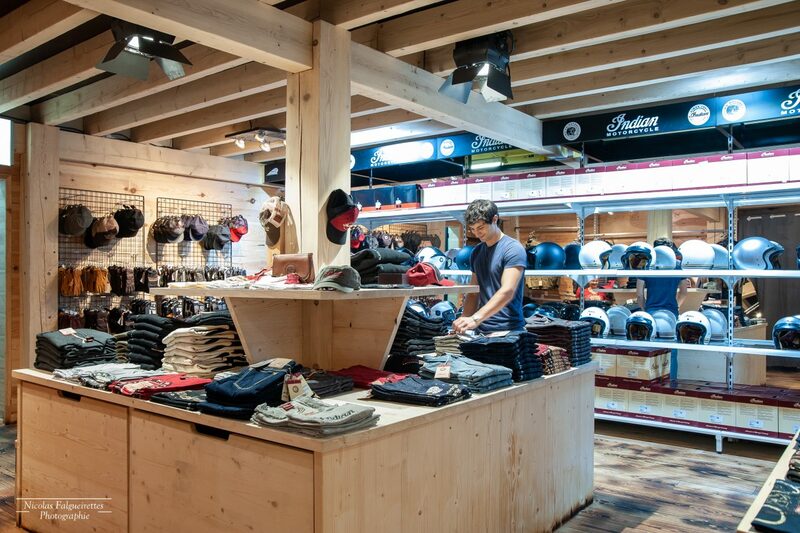 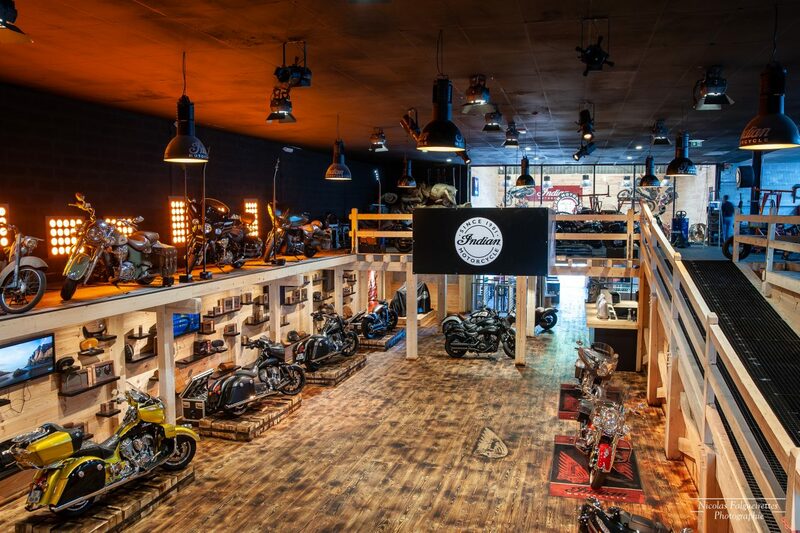 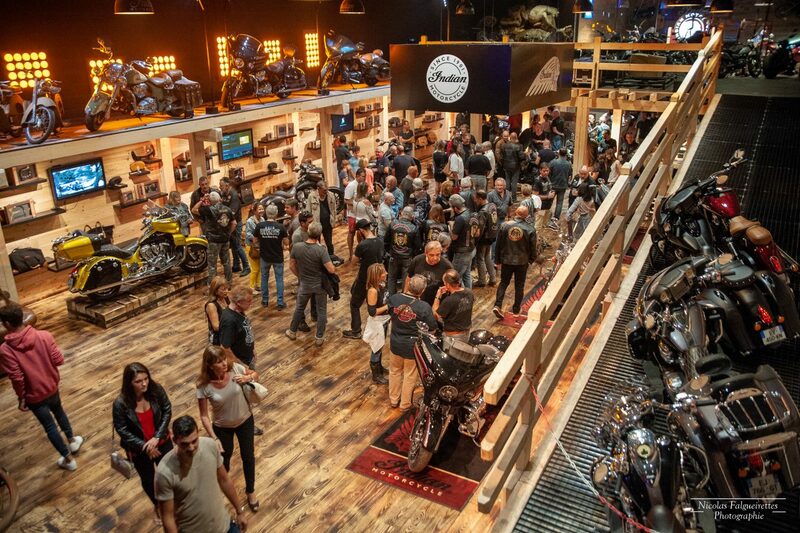 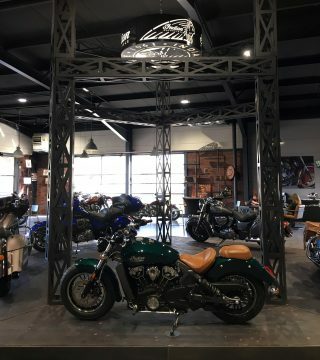 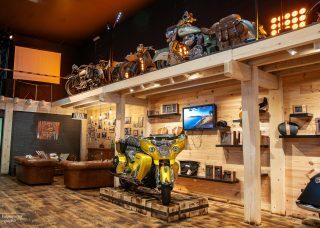 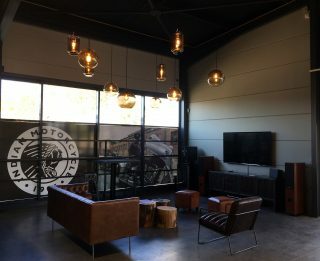 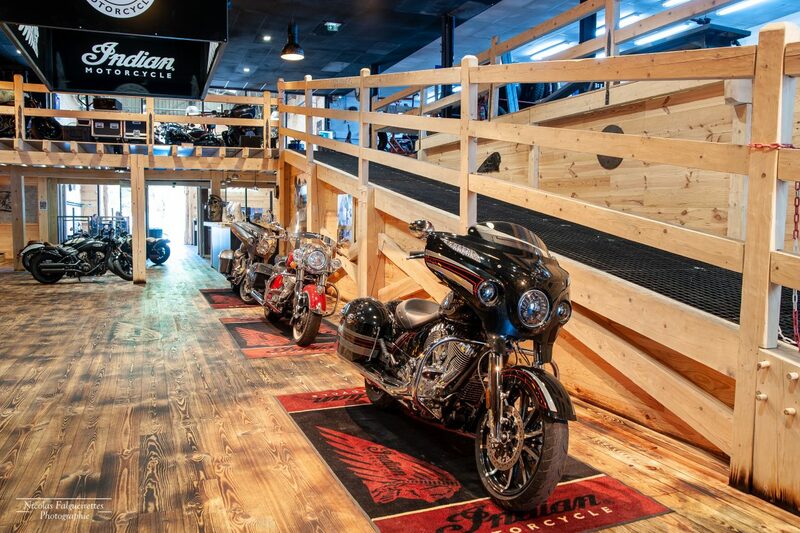 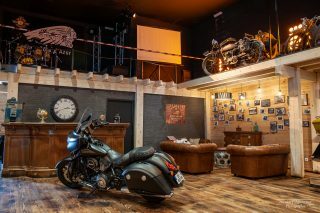 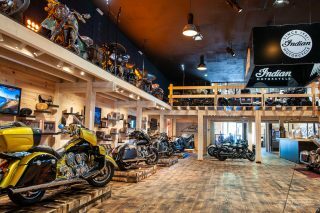 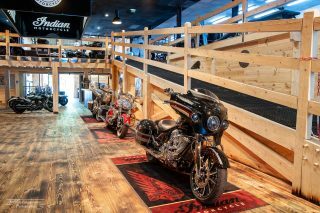 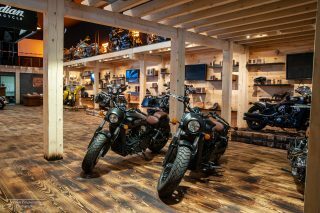 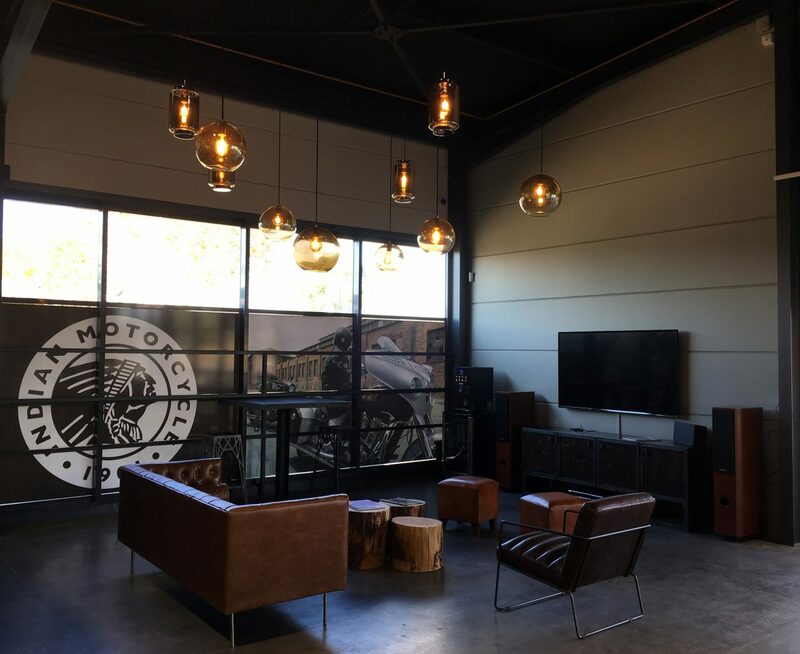 Relocating to the beautiful French Riviera required a unique approach to the showroom design to fit the hipster lifestyle, stand out from the competition and create a destination dealership to attract riders of all brands. 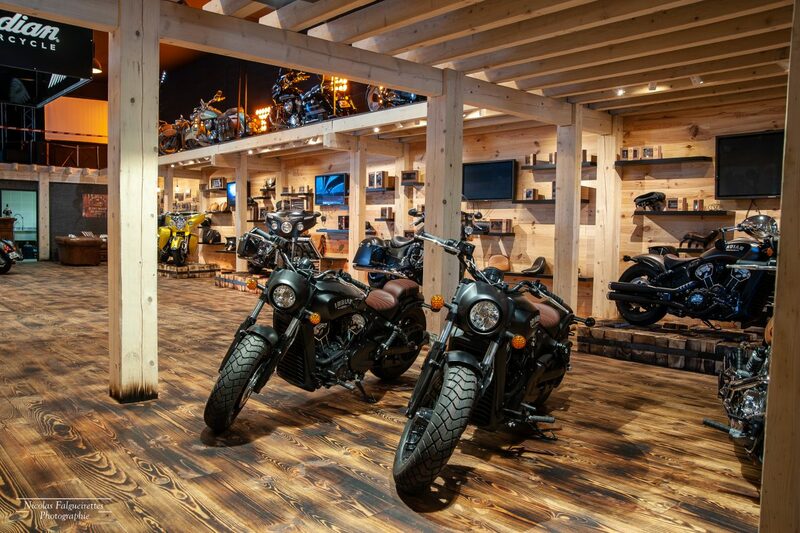 Featuring a large, split level showroom, the interior is constructed mainly from wood in a natural finish with the heritage and craftsmanship of the brand reflected in the choice of fittings, furniture and decoration. 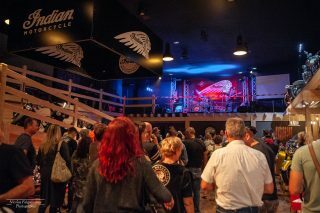 Celebrating the completion of the project, a grand opening night welcomed over 400 local riders and special guests for a party which took advantage of the mezzanine stage with live music in the evening. 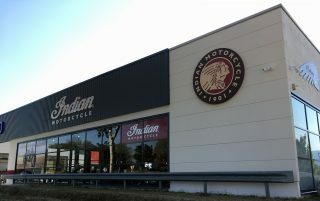 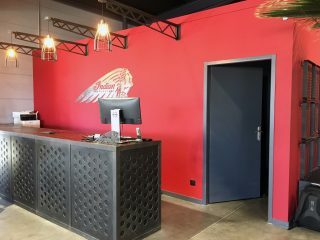 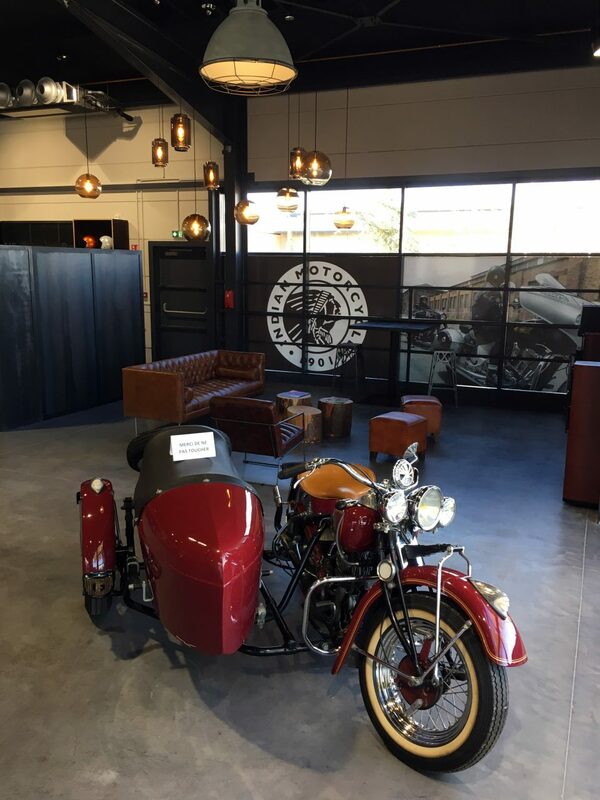 Indian Valence in Bourg-Lès-Valence, a strategic location between Lyon and the Riviera, is an entirely new member of the Indian Motorcycle family. 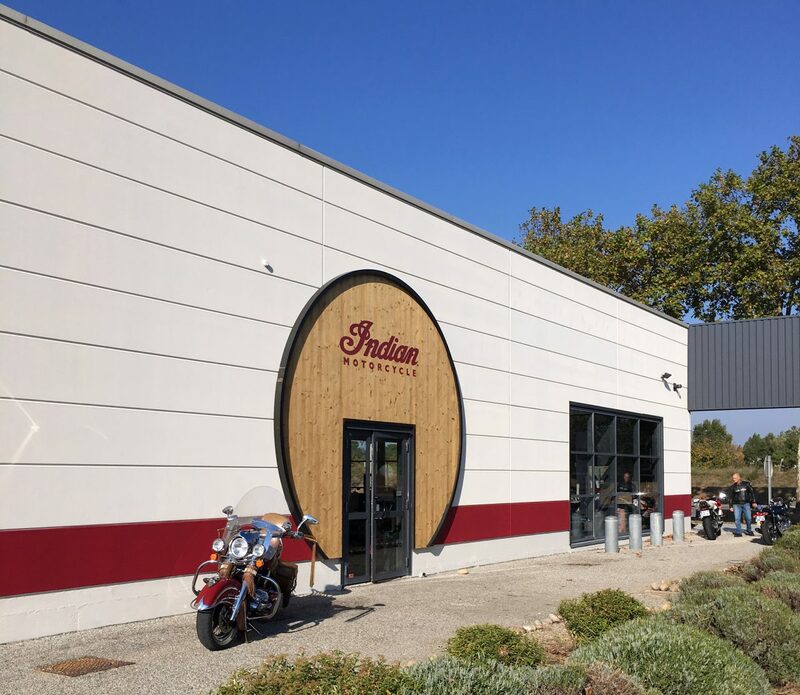 With a passion for American motorcycles, the business partners behind the new venture chose to participate in the development of Indian Motorcycle as it was clear to them that the brand has great potential in France. 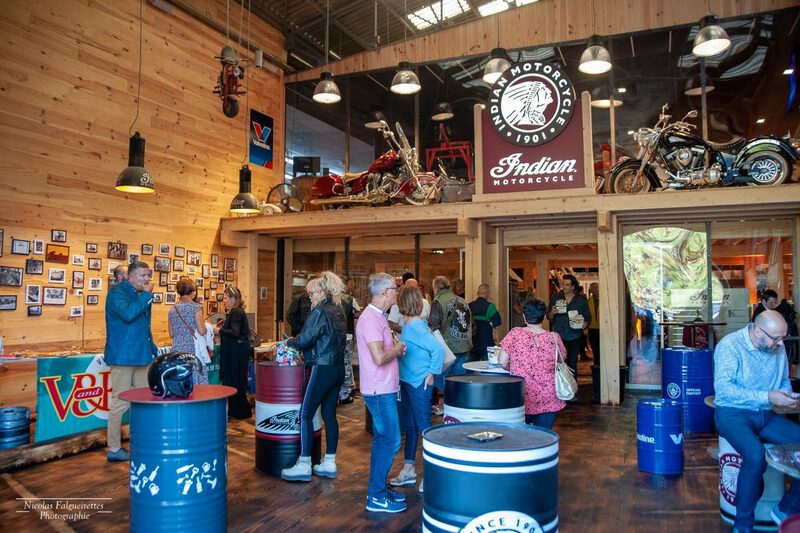 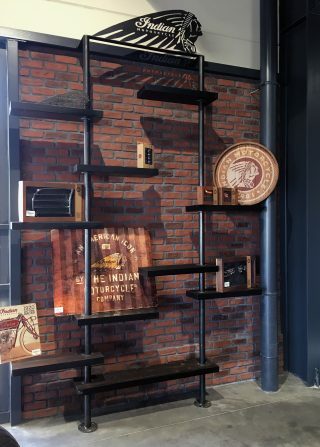 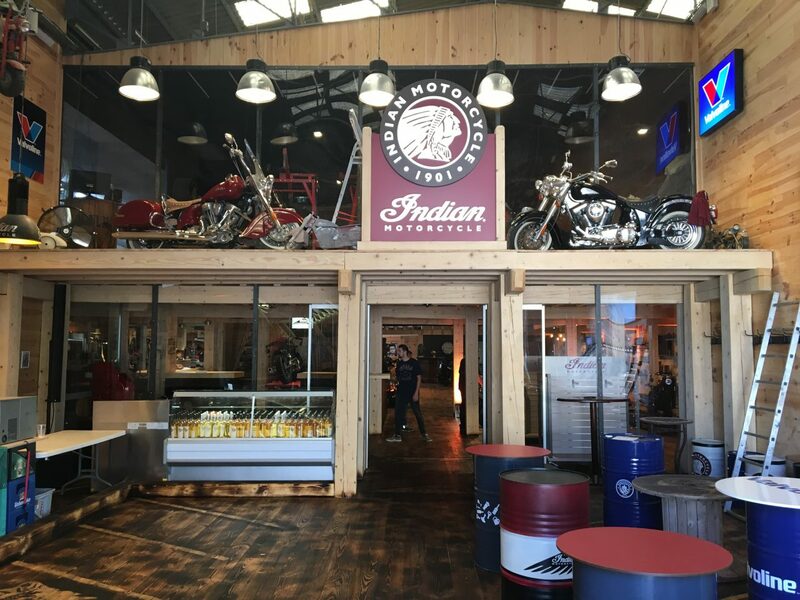 “The Indian Motorcycle team trusted us from the beginning and helped us in the implementation of our project: from research of the commercial space to the layout of the store. 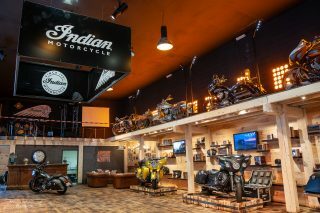 We wanted to invest in Indian because it is the first American motorcycle brand and the prospects for development were important. 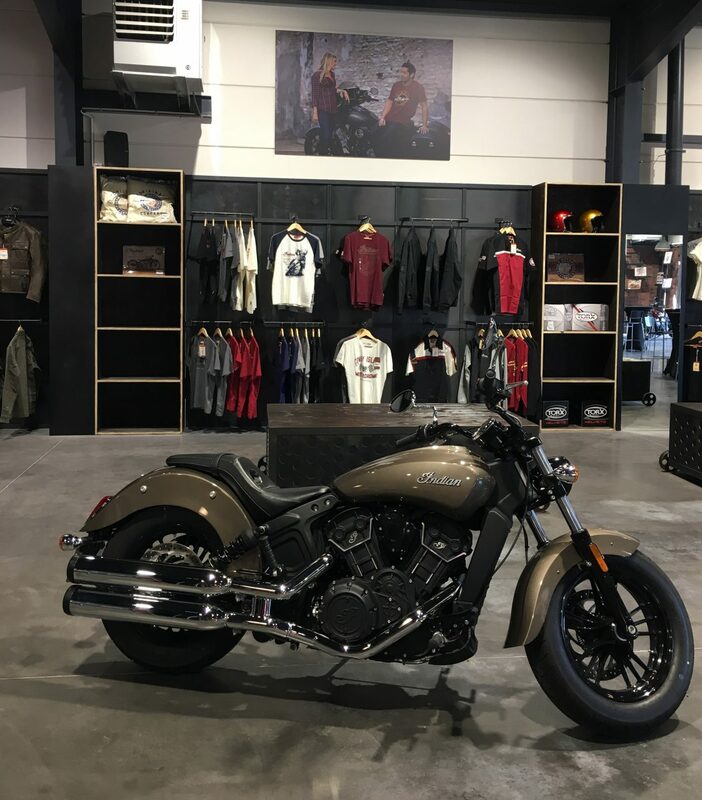 Indian Motorcycle have great ambitions for the continued revival of the brand and we are very confident about the future,” says Frédéric Barrau of Indian Valence. 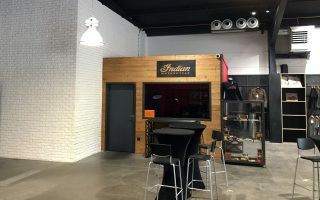 Before the official opening, an exclusive inauguration evening was held to celebrate the completion of the project and to thank the people involved. 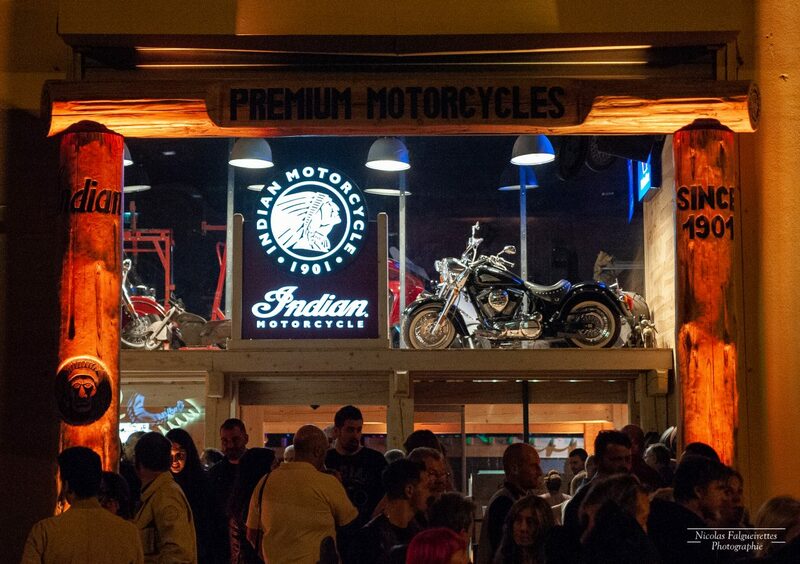 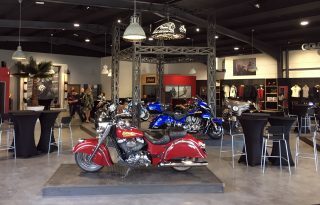 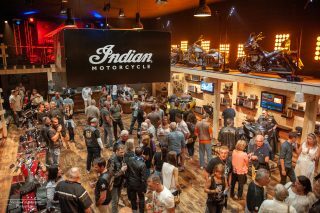 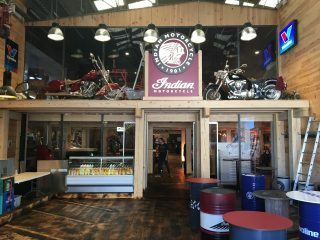 For the official opening the next day, more than 100 people attended to admire the showroom and the Indian Motorcycle range.